Unconscious bias is a key reason that Interpublic Group is making sure everyone has a voice and contributes their views and insights to the work the company presents to clients, said company CEO Michael Roth. As he pointed out, if 80% of the women are buying the product, it makes sense to have a female on the creative team. 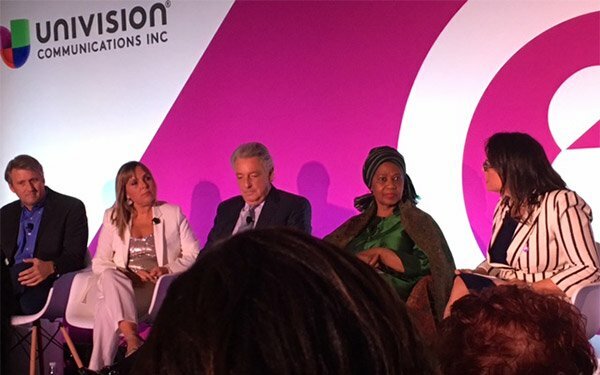 While the first phase of the Alliance project focused on inclusion, IPG's Roth said addressing tokenism is the most important next step. Creative imagery had diverse representatives without assimilating diverse voices into the creative conversation, he added. "They checked the box. It is more than that." It isn't just that women have been misrepresented, said panelists. There are stereotypes of religion and color. Women in hijabs don't exist in advertising, said Aline Santos Farhat EVP, global marketing, Unilever. Panelists agreed that this issue begins internally and then these members are able to influence the creative execution. If you aren't associated with an organization that isn't aligned with your issues, then go find one that is. "Life is too short," joked Roth. Still, Roth pointed out it's hard to boil the ocean, alluding to the fact that change must start somewhere, but it doesn't happen all at once. The panel ended by announcing new partners joining the #UnstereotypeAlliance, including Ogilvy, Anomaly, Aerie, HP and GlaxoSmithKline.